The aim…. to stop even more food from going to waste, to make even more great meals for anyone and everyone in our city, and to help even more people to gain skills and experience in catering and hospitality! 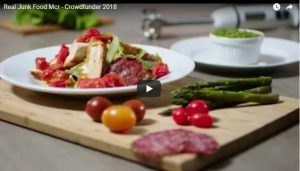 See the Crowdfunder appeal page. The core of the project’s mission remains the same – rescue food that would otherwise go to waste, transform it into beautiful meals and dishes, and support everyone in our city in accessing great food. But that mission is evolving. We’re amazingly proud of having opened and operated Manchester’s first waste food pay-as-you-feel restaurant for a year, and we’re ready to do more! The new venture will use a different type of economic sharing model. Rather than pay-as-you-feel, which operated at the restaurant, the new venture will offer a range of pricing packages that will mean corporate customers will subsidise our work with community and charity partners. So, companies and individuals who choose our catering service will not only be choosing a sustainable option, they will also be supporting Manchester communities. 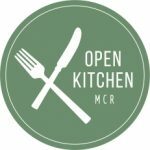 We hope that you will agree that this is something incredibly positive for our city, and we hope we have proven through the Real Junk Food Mcr restaurant that we can make it work!